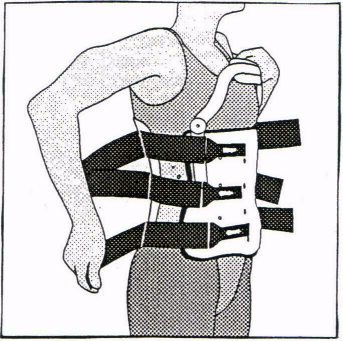 This leaflet has been produced to give you information about your spinal brace. Most of your questions should be answered by this leaflet. It is not meant to replace discussion between you and your physiotherapist or Neurosurgeon, but may act as a starting point for discussion. Your consultant should have explained the reason for having to wear your spinal brace. 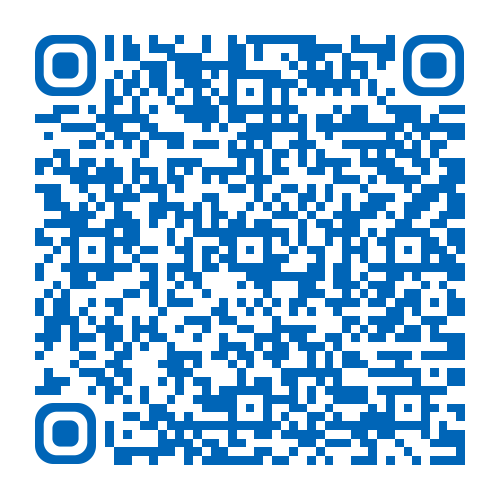 This leaflet will concentrate on providing you with the information on the physiotherapy input you can expect and instructions for your spinal brace. If after reading this leaflet, you require further explanation please discuss this with a member of the physiotherapy team caring for you. A spinal brace is a device designed to limit movement of the spine. It is most commonly used to manage spinal fractures but can also be used for other reasons such as supporting your spine after surgery. Limiting the movement of the spine through wearing a spinal brace helps the healing process. It may also help to prevent further injury or damage and can help to minimise discomfort. Movement cannot be completely stopped within your spine and so occasionally a spinal brace may not be sufficient to manage your condition and you may require other treatments. Wearing a spinal brace will cause some weakness of the muscles around your spine, as the spinal brace will essentially be doing some of the work of these muscles. However, when you no longer require your spinal brace, you will be advised to gradually stop using it and you will be provided with an exercise programme to strengthen your muscles again. Use of the spinal brace could cause pressure leading to redness or, in extremely rare circumstances, breaking of the skin. Experienced physiotherapists will measure and fit you into the spinal brace and you will be taught and monitored on your application of the spinal brace to ensure it is not ill fitting. Furthermore, you will be instructed to remove your spinal brace daily when you lay down to sleep. The physiotherapist is will measure you and determine which spinal brace is most suitable for your size and shape. This spinal brace may or may not have a chest plate (depending on your diagnosis) however the instructions are the same for both. Initially your physiotherapist will fit your spinal brace while you are lying down. They will then give you instruction on the way in which the spinal brace should be applied and removed. Lift your bottom up off the bed and slide the back panel of the spinal brace underneath you. Lower yourself onto the spinal brace. Check the spinal brace is located centrally within your back with the bottom of the spinal brace lying over your buttocks. Feed the plastic side panel and Velcro straps underneath you at waist level. Sit over the edge of the bed as outlined in the lying to sitting section. Apply the spinal brace to your front ensuring the middle set of holes run in a straight line along the centre of your body. Thread the back panel of the spinal brace behind you with the open side on your right. Ensure the bottom of the spinal brace is lying over the top of your buttocks. 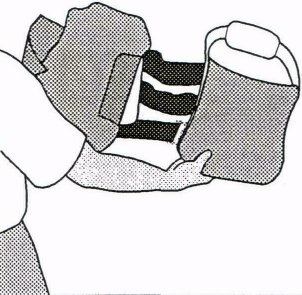 Fold the front panel of the spinal brace over your stomach. The white plastic flaps on the sides can sit on the inside or outside of the front panel. Reach in turn for the 3 black straps on your right hand side and attach them to the front panel. Undo the Velcro and then pull to tighten the spinal brace – the spinal brace should be a tight comfortable fit. Once the spinal brace is completely fastened, ensure the middle set of holes run in a straight line along the centre of your body. Images © AirbackTM Spinal System. The pump can be used to fill the air bladder in the back panel of your spinal brace – the pump has two ends, clear pumps air in, black releases it. It should be inflated to support the natural curve of your back and once inflated will not need pumping each time unless the clear tubing is removed from the spinal brace. Moving from lying to sitting up. To remove your spinal brace return to the position it was applied in. Undo the straps on the right hand side, taking care to Velcro each strap back onto itself to prevent all three becoming tangled. Please ensure you do not open the straps on the left hand side, as this will mean you will have difficultly reapplying your spinal brace and gaining a good fit. Open the spinal brace and remove. Your spinal brace may or may not have a chest plate attached to it depending upon your diagnosis. If you have a chest plate, the application and removal process for the spinal brace is exactly the same. The chest plate will be fitted by your physiotherapist and should fit flush with the upper third of your breastbone. 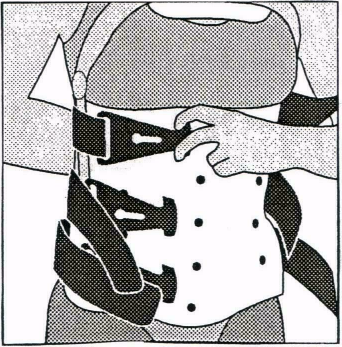 If at any point the chest plate is touching your neck, the spinal brace has ridden up too high and needs reapplying lower down in line with the top of your buttocks. The spinal brace should be kept on at all times except when lying flat in bed – unless you have received different instructions from your physiotherapist or consultant. The spinal brace will only limit movement within your back, not eliminate it completely. It is important that you monitor your posture to prevent slouching and avoid any bending, lifting or twisting. The pads within the spinal brace are removable and can be hand washed. They should be dry fully prior to wearing them and the spinal brace should not be worn without them. If you feel you may need guidance with washing and dressing techniques please discuss this with the Occupational Therapist on the ward prior to discharge. If you have any problems with the spinal brace please do not hesitate to contact the physiotherapy team on the number in the Useful contact numbers section. This exercise is aimed at maintaining strength in the muscles that support your back. It should be carried out approximately 3 times a day, gradually building up to 10 repetitions of each exercise. Initially after your hospital admission, your back may be sore as you move; this may increase over the first couple of days but will then improve. You should aim to walk short distances little and often to ensure your muscles do not stiffen up. Once you are home, try to increase the distance you walk daily, always paying attention to your posture. Avoid sitting in soft low chairs as this will cause your back posture to become rounded, even with the support of the spinal brace. Before you are discharged from hospital, you will need to be able to apply and remove your spinal brace without the assistance of a healthcare professional. Often patients manage by themselves straight away, sometimes family members / carers are taught how to help apply and remove the spinal brace. The spinal brace is usually worn for a period of 8 weeks, to support your back and prevent movement around the fracture site but this can alter depending on your healing rate and your consultant’s opinion. After your final X-Ray, you will be told if your fracture has healed sufficiently for you to be able to remove the spinal brace. The physiotherapist will discuss this with you and give you further instruction at this point. You may feel stiff initially in the affected part of the spine when you start to wean the use of your spinal brace; this is normal and will improve as your activity levels increase. The physiotherapist will provide you with exercises to improve this, and also to build up the muscle strength in your spine. If required, you may also be referred for out-patient physiotherapy to further support your recovery. Should you require further advice on the issues contained in this leaflet, please do not hesitate to contact the Hull Royal Infirmary Physiotherapy Department (ask for Neurosurgery Physiotherapy) on tel no: (01482) 674539, or Ward 4 Hull Royal Infirmary on tel no: (01482) 675004.